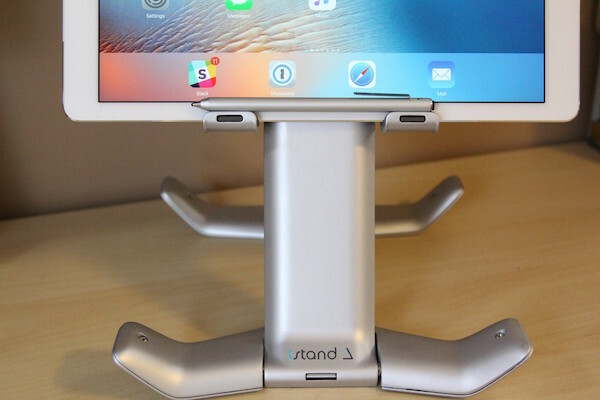 We get many inquiries asking if the Tstand is a compatible with the iPad Pro and the answer is YES! In fact, Digital Trends even named it the number one best iPad Pro accessory! Even better, Tstand fits the iPad Pro with most cases. To date, only iPad Pro Otterbox cases do not fit into Tstand’s little grippers. Why do you need an iPad Pro Stand? Tstand was born out of the ergonomic challenges of tablet usage. Being tablet users ourselves, we have experienced firsthand the discomfort of hunching over our tablets and the aches and pains that follow. When using an iPad without a stand, we are essentially training our bodies to adopt abnormal positions that will eventually affect our posture, comfort, and long-term physical well-being. The iPad Pro actually worsens these ergonomic issues due to its large screen size and heightened functionality. This iPad is also designed for longer periods of use. Holding a heavier device for extended periods of time will inevitably lead to increased arm and shoulder strain. To avoid painful and often irreversible symptoms associated with tablet usage, it is important to adjust the way you interact with your iPad Pro so that the tech accommodates your body rather than the other way around. Ideally, this would mean keeping your tablet elevated to eye-level and trying to avoid holding your device for long periods of time. Luckily, this can be easily achieved with a proper, ergonomic iPad Pro stand, like the Tstand. Free your arms and elevate your tablet with the best iPad Pro stand in the business. With an expandable design that accommodates any tablet between 7” and 13”, Tstand is the perfect fit for the iPad Pro’s massive 12” screen. For artists who use their device for their creative pursuits, the Tstand also makes a great iPad Pro easel for drawing or sketching. Do you own the iPad Pro? Check out Tstand in our online store. 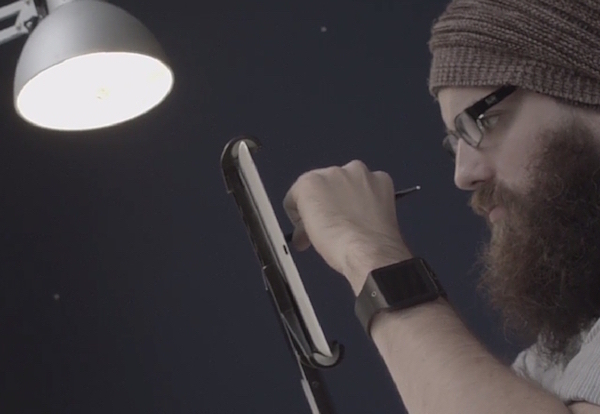 Have you used Tstand as an iPad Pro stand or an artist’s easel? We’re always looking for new reviews, so please share your experiences with us by sending us an email or Tweeting to Tstand. We’re now on Amazon USA!